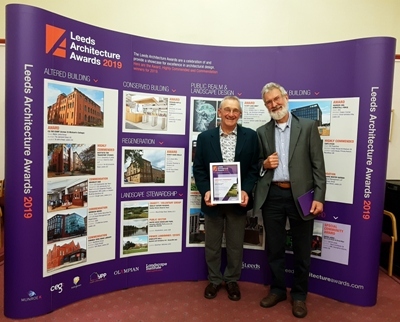 Trustees were delighted to attend the Leeds Architecture Awards at Leeds Town Hall to receive a prestigious award for Landscape Stewardship. 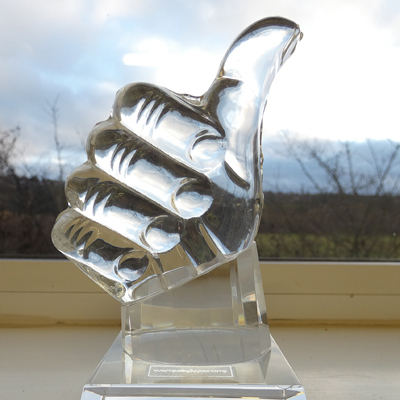 The award is a significant accolade for our hard working volunteers who are to be congratulated on their achievements. On Saturday 1st December Rodley Nature Reserve was presented with Open Country’s Good Access Award for 2018 which recognises the best countryside “access for all” project in Yorkshire. The Yorkshire-based Charity Open Country help people with disabilities to access the countryside and this award celebrates the efforts of our volunteers in making the Reserve more accessible to wheelchair users and people with a disability through our paths project. Rodley are introducing many new initiatives in 2019 to encourage children and their parents down to the Reserve. We are hoping that more local children will be introduced to the habitat and wildlife to be seen on Rodley Nature Reserve. Check out our Events page for details of the events. A new initiative has recently been introduced to encourage children and their parents down to the Reserve. Whilst hiding a decorated pebble for other children to then find and re-hide it is hoped that children will be introduced to the habitat and wildlife to be seen on the Reserve. Good luck hiding and finding and don’t forget to post a photo in our Facebook group when you do #RodleyNRrocks! Following the completion of the new Manager’s Garden Hide earlier this year work got under way on the construction of a new hard path to the hide. 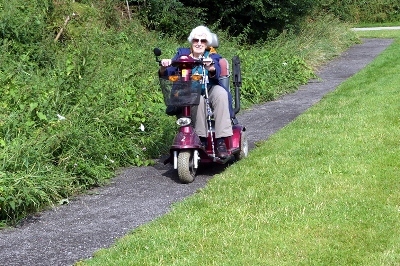 The old grass path was very difficult to negotiate last winter following a lot of rain and a new path was seen as a necessity, particularly so for wheelchair users now that the new hide has a special viewing point for wheelchairs. Digging out the route for the new path proved extremely hard work for our volunteers who often had to work in very warm and even hot conditions this summer but the work was successfully completed on 27th July. 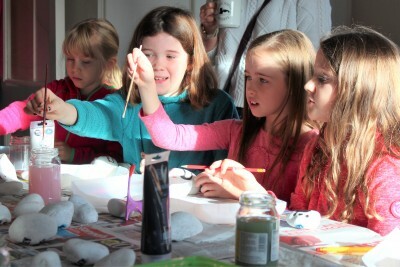 This project was made possible thanks to the generous support of the Coop Community Fund. Since 2012 the Reserve has worked towards the introduction of the Harvest Mouse to areas of the Reserve providing a suitable habitat – since this time approx. 900 mice have been released. The flood occurrence over Xmas 2015 completely swamped the early release areas causing significant damage to the habitat and it was thought at that time the mice would not have survived such conditions. 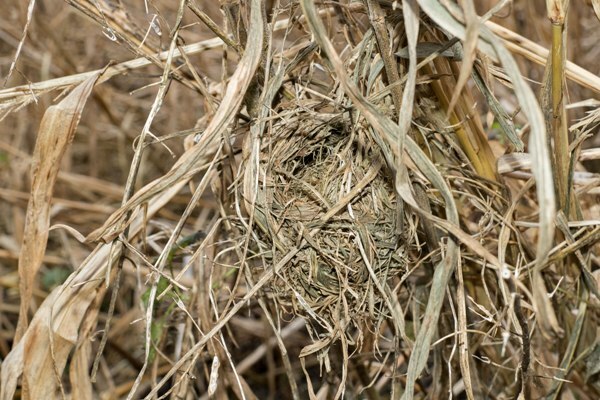 It’s now pleasing to be able to report that a series of breeding nests have been found on both Tim’s Field and the Scrubland (16 to date) which indicates success for the introduction programme. Further survey work will now be undertaken to determine the extent of the breeding activity. It’s a great result for the Reserve and a particularly satisfying reward for Trustee John Brook and his wife Maxine who have spent many hours managing the release programme. The Reserve has again been successful in being selected by the Co-op for funding support from their Community Fund scheme. This latest initiative, which has just commenced, will finish in November 2018 and the funding will be used to extend the hard surface footpaths enabling wheelchair and pushchair users easier access around the Reserve. Please support the Reserve by registering for membership and selecting Rodley Nature Reserve as your “local cause” – 1% of everything you spend will then go towards the funding and in addition 5% will go into your membership account. Lapwings have nested successfully on Tim’s Field in the past and at least four pairs did so again this year. A total of 9 juveniles have been seen on the Wet Grassland and Duck Marsh including 2 very young chicks seen and one photographed by Andrew Thompson at the end of the Willow Path on 8th July. A wetland reserve close to the heart of Leeds.